Find out everything you ever needed to know about laser dentistry and your smile. 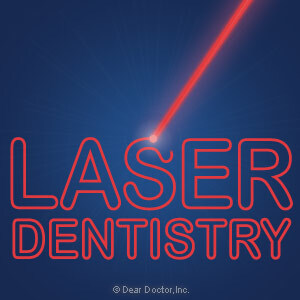 Laser dentistry might sound like something from another planet, but dental lasers have been used for treating dental conditions over the last two decades. It’s amazing what dental lasers are capable of. 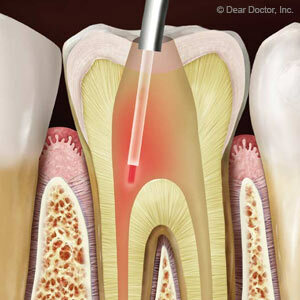 Find out more about getting laser dentistry from your Owings Mills, MD dentists Drs. Herbert and Harold Mendelson. 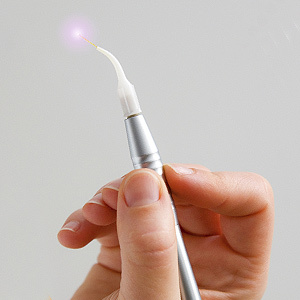 Can lasers replace traditional drills to remove dental decay? Lasers offer a variety of benefits that a traditional drill can’t offer. For one, laser treatment can remove decay without always requiring local anesthesia. Furthermore, lasers are more precise and conservative because they can remove decay without removing as much healthy tooth structure as a drill. Can lasers also be used to whiten my teeth? Absolutely. 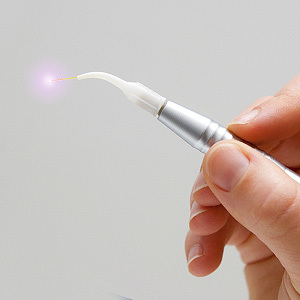 Lasers are a very versatile instrument that can be used for multiple dental treatments. When it comes to professional teeth whitening, lasers are used to activate the whitening gel to instantly brighten teeth. After the gel is applied to the teeth the laser is then directed at your teeth to whiten your smile. Laser dentistry might seem relatively new but it’s been around for over two decades. When used properly by your Owings Mills dentist laser dentistry is completely safe. One of the reasons lasers are so popular is that they boast less postoperative pain, bleeding and swelling than traditional methods. Laser treatments also offer our patients painless and more comfortable procedures. What other procedures can be performed with laser dentistry? Besides removing decay and whitening teeth, laser dentistry can also treat gum disease and remove lesions (biopsy) and canker sores. If you want to find out how laser dentistry can improve your oral health then turn to your Owings Mills dentists at Mendelson Family Dentistry. Call us today!